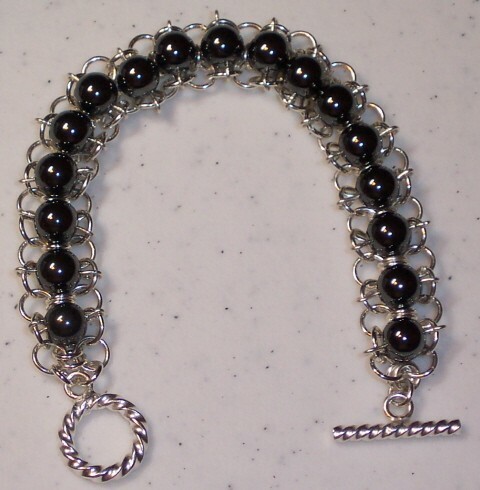 The Mesh Beaded Chain Bracelet is very supple on the wrist and comfortable to wear. The hematite beads in the picture can also be crystals or other beads of a similar size. The possibilities are almost endless. You will receive many compliments on it. This weave utilizes some beading techniques. This is a beginner weave. The clasp and beads are not included in the kit.